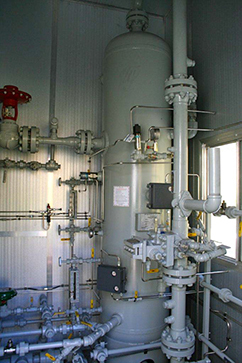 We finally have some great new shots to share from the Cheal Gas & Oil Production Facility, showing infrastructure upgrades in process, underway, and already hooked up and running. 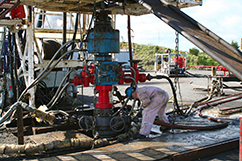 We're working hard to free up all that behind-pipe oil and gas, and improve long-term efficiency. 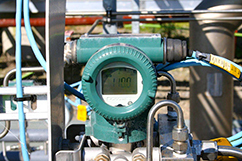 Gas meter at Cheal plant showing 110% of rated gas capacity presently flowing…we've OD'd the old system. Newly installed power fluid pump, which doubles our oil lifting capacity at Cheal. Nova-1 completing Cheal A-12 with Cheal A9, A10, and A11 in the foreground, awaiting facility completion "oil behind pipe." extension to this building to house all the new electrical panels; everything from the ladders down is new. 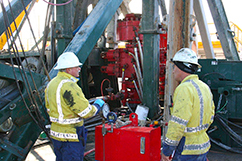 Webster Drilling crew pressure testing BOP's on Nova-1 before perforating Cheal A12, to ensure it’s able to control the flow. Cheal A-Site expansion. 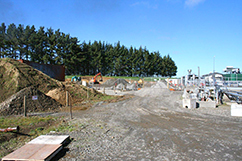 This is where the new gas processing facility will sit. 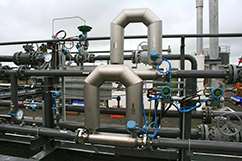 The Plant is being built in Alberta and shipped to Cheal direct, to ensure the highest standards in the industry. 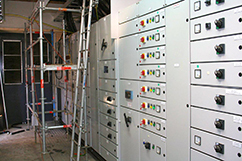 High Voltage Power upgrade at Cheal A-Site. All part of increasing oil and gas capacity so we have the power we need to run pumps, compressors, etc. 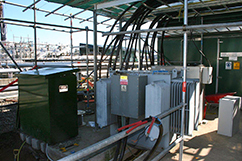 Here’s our temporary power arrangement until the power upgrade is finished. 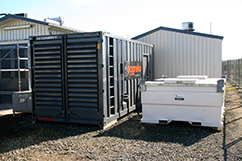 We’re presently burning 2500 liters of diesel /day with this rented genset with diesel tank. 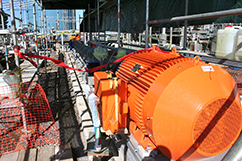 From the Cheal B-Site: Variable speed drives (VSD's) that power our two electric submersible pumps (ESP's) at Cheal B-5 and B-7. These are now running! 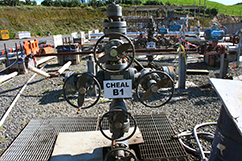 Cheal B6 - looking lonely with a great oil zone "behind pipe" awaiting tie-in once facility expansion is complete. Cheal B-5 temp hook-up with ESP is also now running. We'll keep it flowing until we have to shut it in, to tie it in permanently to the Plant. 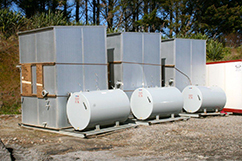 A line of lonely wells, all with oil "behind pipe" awaiting the expansion project completion. 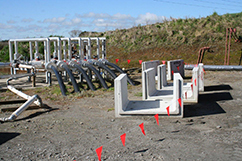 Cement troughs, which will bury the tie-ins at B-Site underground. Ready to be trenched in this month. 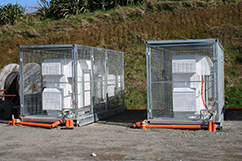 Our "Staedtler Units": compact separators built in Staedtler, Alberta, one will be used at Cheal A-8 to send gas to our power generation project. 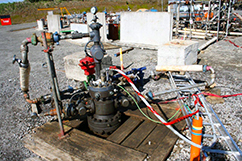 (Top) Cheal C-Site…we’re stealing some gas from C-2. (Right) Inside the Staedtler Unit…built Canadian winter tough! 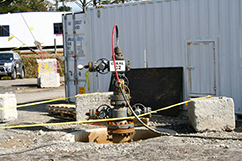 More "Behind Pipe" wells at Cheal C-Site. This is Cheal C-3 in front of Ensign Rig #6 which is completing Cheal C-4. Both will be ready to be tied in shortly. Installing BOP's on Ensign #6. 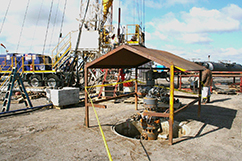 TAG Oil’s drilling success has surpassed its facility capabilities, so we’re investing in infrastructure expansion to help us bring all production on stream. The expansion will also help to commercialize future discoveries without delay. 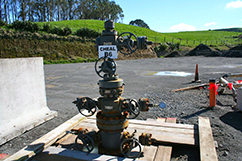 Establish TAG as a third-party gas processor in Taranaki. 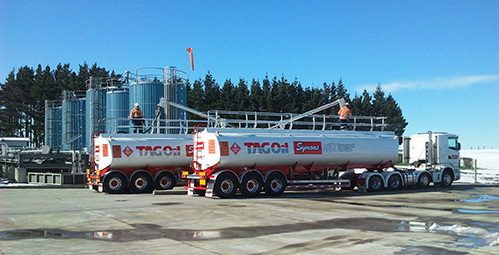 TAG Oil's tanker trucks head out in New Zealand. 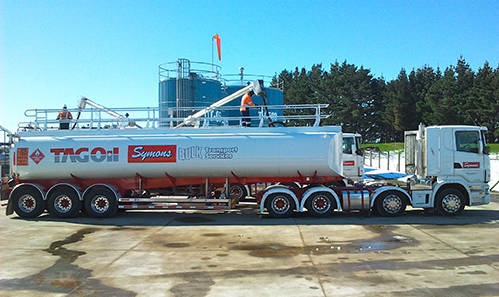 We're pretty chuffed with our new fleet of TAG Oil petroleum transport trucks... what more is there to say? Loading up at Cheal, with a rare valley snow behind. 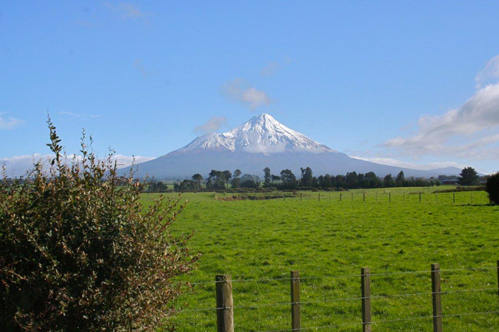 Though it's winter in New Zealand, snowfall is still rare on the valley floor. 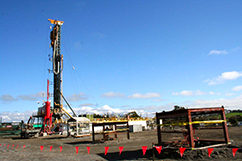 Except for a few snowballs, it doesn't slow down work at the Cheal drill-site or Production Facility. 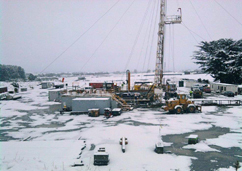 Ensign 6 service rig at the Cheal-C1 well, tests the multiple oil and gas bearing zones amidst a rare snowfall. 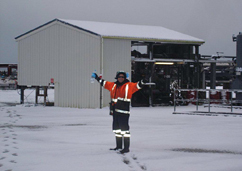 Cheal oil and gas field production station with The first ever snow on-site Cheal oil and gas field production station.